Our client Steve is a repeat customer of ours and his client chose the Staron Sanded Tundra to match his wall units. The match was unbelevable – It looked amazing. 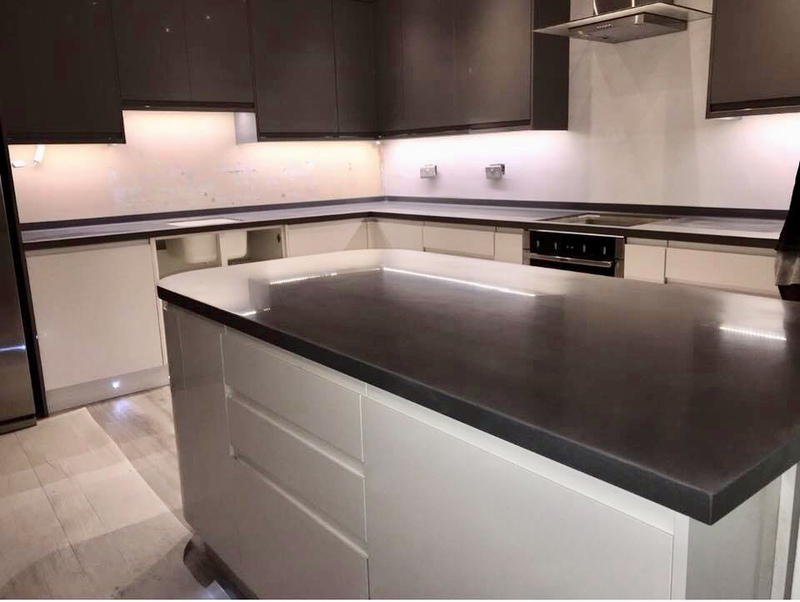 We matched the radius on the penisular units with the 40mm worktops perfectly. 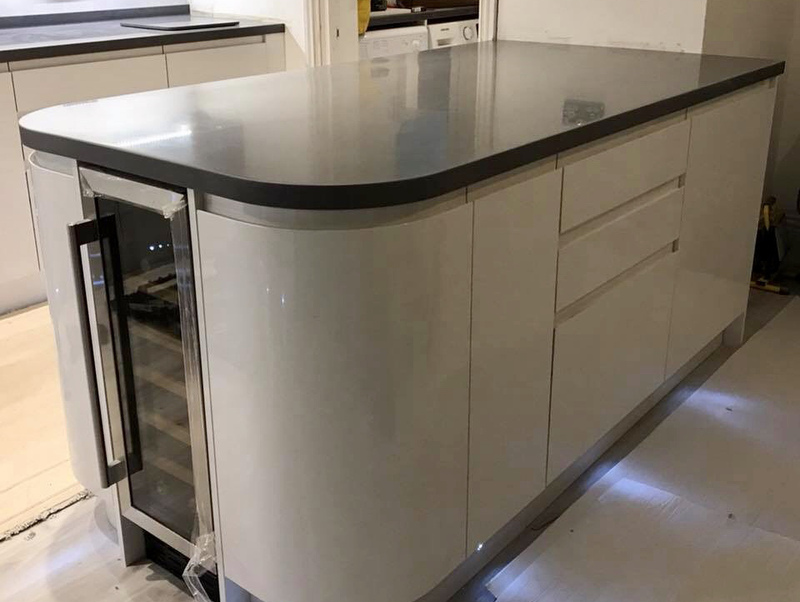 It was finished of with 50mm square upstands for a modern look and polished to a soft sheen. We also added a 100mm thick Mantle to a fireplace in the dining room side to bring the 2 sides together – A stunning room perfect for hosting dinner parties! From template to installation: 10 days.